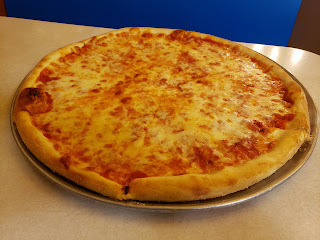 It's been a while since I last reviewed Pompei's Pizza, but since I was running errands in town, I thought I'd check in on the long-time Tunkhannock pizza staple. I have a long history with Pompei's in going there as a kid 3 decades ago. My mom would need to make a run to Ames or (even worse) Fashion Bug, which were both in the same shopping plaza as Pompei's. For those of you who aren't as ancient as I am, Ames was a department store where Tractor Supply now resides, and Fashion Bug was a ladies clothing store which has been replaced by Peebles. The pain I used to endure staring up at myself in Fashion Bug's funky mirrored ceilings waiting for the shopping trip to be over was excruciating, but the post-shopping pizza always made it worth it for this young pizza dork! 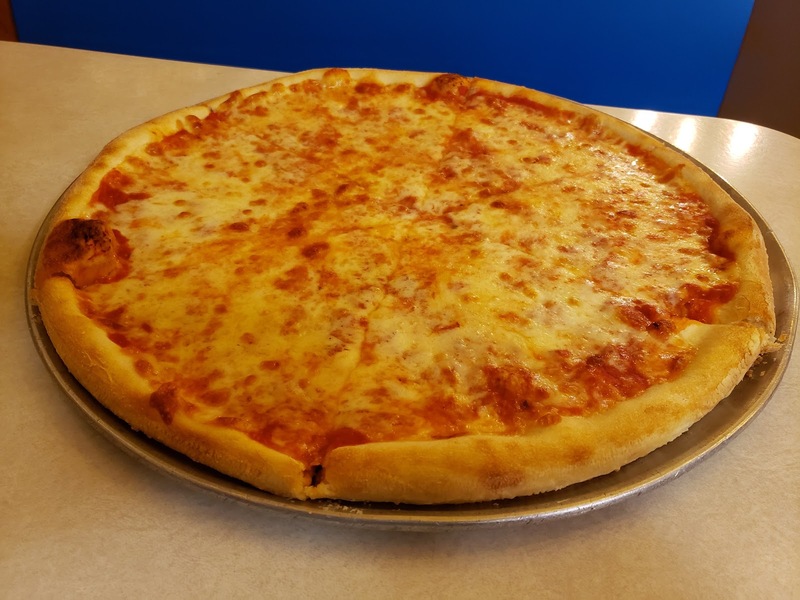 In my experience with Pompei's, I've always known them to have the quintessential NY style pizza that everyone seems to enjoy. It isn't fancy and it satisfies even the pickiest eater. A pizza snob might not put it in their top choices, but you probably could not find a snob that will tell you it's bad pizza! 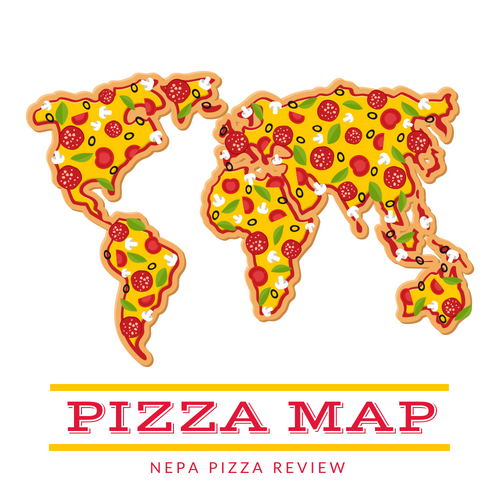 It's above average in almost every way and reminds you of many other similar pizzas that can be found around the area and country. One thing is for sure, the product is always consistent and fresh and the service is always speedy and reliable. My latest visit was no different, except that I seemed to enjoy this pizza a tiny bit more than my last visit - likely because the pizza traveled from the oven to my table in less than 30 seconds (yes I watched, and yes I sort of counted)! The pizza really couldn't be any more fresh than this! 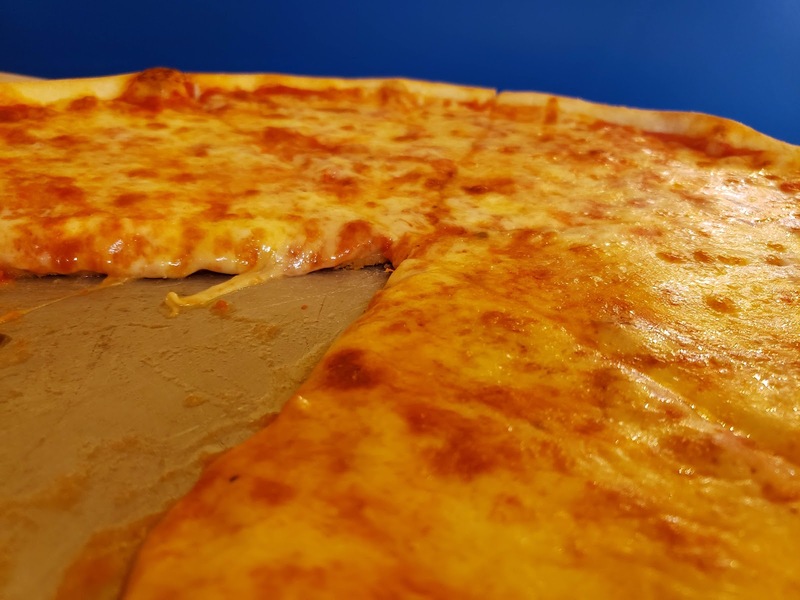 I only waited about 2 minutes to dig in because I had to photograph and film the pizza for the YouTube Channel and because I was likely risking life and limb putting something that hot in my mouth! 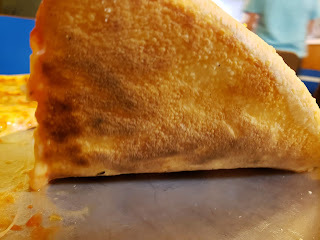 You can read the full review from my previous visit to get all of the specifics, but I will say the crust was slightly crispy especially around the edge, had some tenderness to it, and a pleasant chew. The sauce was your standard NY style pizza sauce, not too chunky, not too sweet, not too anything. 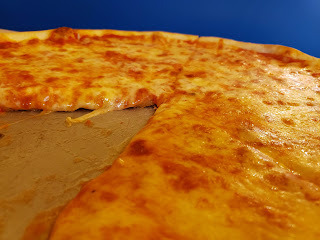 And the cheese seemed to be perhaps a white cheddar/mozzarella blend judging by the flavors and the way the cheese sort of broke apart instead of stretching and stringing apart. Overall, it was a very good pizza and I was happy with the product. It still tastes the same 30 years later and there truly is something to be said about Pompei's remarkable consistency!